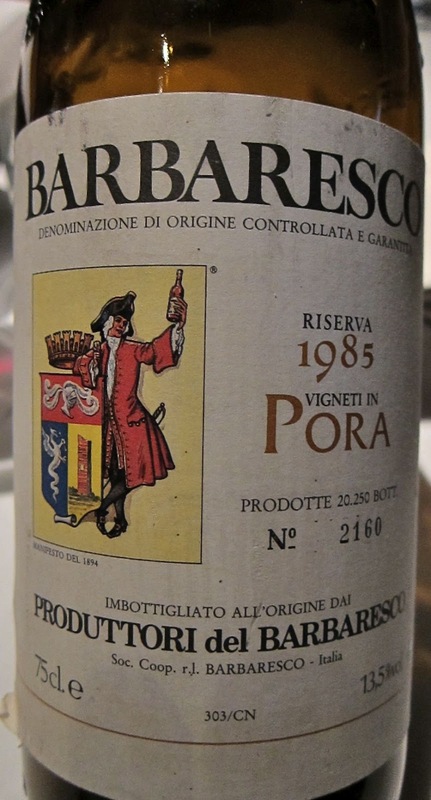 Produttori del Barbaresco producer Aldo Vacca says that even if northern Italian winemakers want to, there's no way to consistently produce the lovely age-worthy wines of 30 years ago, because Mother Nature won't cooperate. "In old vintages, September was a difficult month," Vacca says. "It was a struggle to ripen the grapes and that struggle showed in the wines. These were wines of strong acidity, with powerful tannins. They were difficult to drink in their youth. In the new millenium starting from about '03, September is a summer month. It's easy to ripen the grapes." It's hard not to think about the cold, rainy Septembers northern California had in '10 and '11 and wonder: has Mother Nature decided it's time for Italy and California to change wine styles? 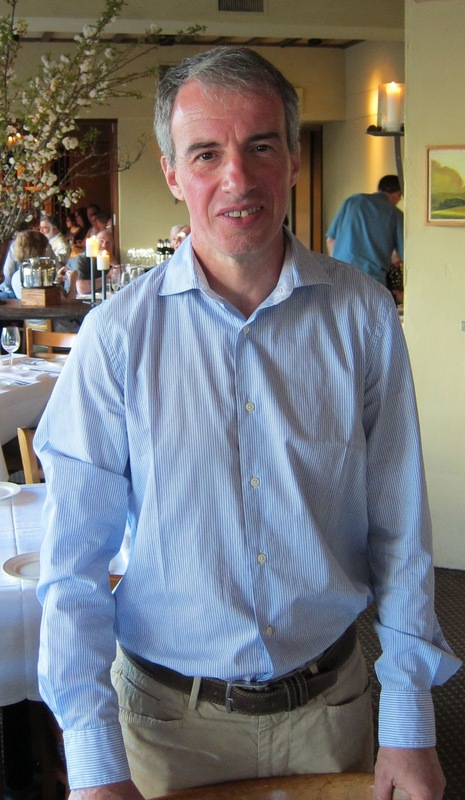 I caught up with Vacca last month at Oliveto restaurant in Oakland, one of the few Bay Area restaurants to have a significant cellar of older wines, and it doesn't charge exorbitant prices for them. (Check out the "Wine in Time" menu pdf.) Vacca poured six of his older vintages at a single dinner, which was both an embarrassment of riches and a lesson in the vagaries of age. 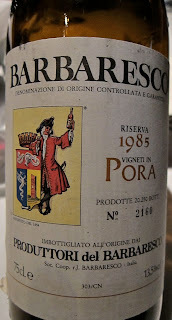 Vacca has been with Produttori del Barbaresco since 1991, just after three consecutive vintages acclaimed by Wine Spectator and the Wine Advocate brought attention to what had been a neglected region, considered far below Barolo. "When I started, there was a cage full of naked bottles sitting in the corner," he said. "I asked the cellar master, 'What's that?' He said, 'I think it's the '79. It's been sitting here for a few years.' The wine was great. But there wasn't a perception that it was something special. Oliveto owner Bob Klein ended up buying most of those '79s. "Aldo Vacca has been very important to us with our focus on traditionally made wines," Klein said. But in laying out big bucks for traditionally made older wines, you're taking a chance, and not just on corked wines (there was one). Many if not most of my best experiences in wine drinking have come from this category -- but it's also unsafe. Two of the six wines Vacca poured were disappointing: a '90 from Asili vineyard that was oaky and overripe, and a '79 from Ovello vineyard that was dusty and well past its prime. Accepting lesser wines is part of the philosophy. "When we make wine in a traditional style, it's not about doing what we want to do," Vacca says. "It's about being true to the land. It's not always a good thing. Some of these wines have a sharpness. They have angles. The Nebbiolo grape picks the character of the soil in a very interesting way." Vacca says the best thing about Barbaresco is the finish. "Sometimes the wines are austere on the palate, but the finish can be beautiful," he says. "All these wines have a tannic finish. But that grit on the finish makes them great with food." And when the terroir and the cellar time align, you get a wine like the '85 Pora vineyard: delicate, almost brittle, with notes of earth, dried flowers and dried cherries that intensify on the long finish. It's light bodied but fully entertaining, and is the reason people age Barbaresco in the first place. The '99 from the same vineyard is still quite tannic and potent, with fresher fruits and a coppery blood note. Give it time ... or not. 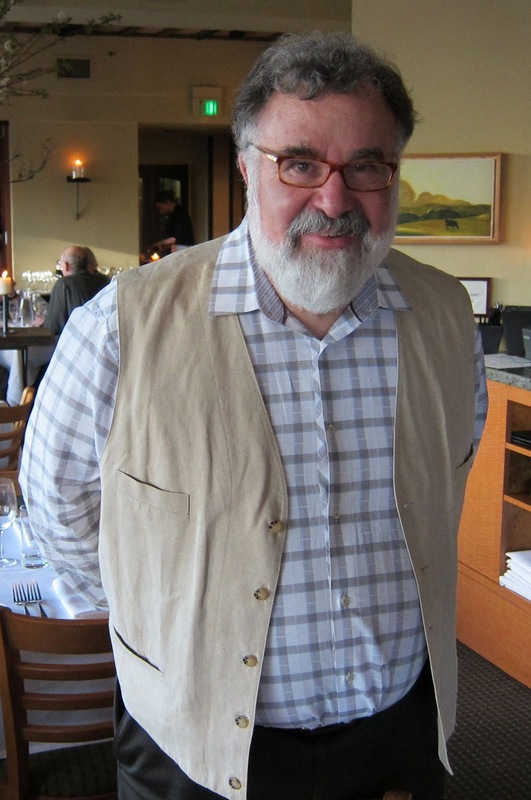 "There is not a perfect time to drink a great wine," Vacca says. "Great wines have a wide window of drinkability. If you think too much about when to drink a wine, you can drive yourself crazy."